Make the custom cabinets you've always wanted with this stile and rail set. 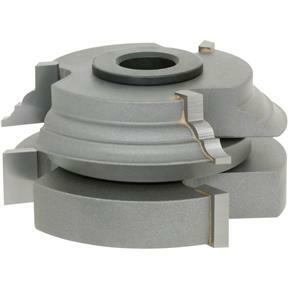 Our 6-piece set includes 5 cutters and spacers available for 3/4" bore only. Please order panel cutters separately. For a 1/2" tongue depth, order C2309 (3/4" bore only). 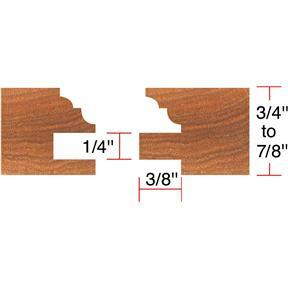 For glass doors, order C2159 (3/4" bore only). 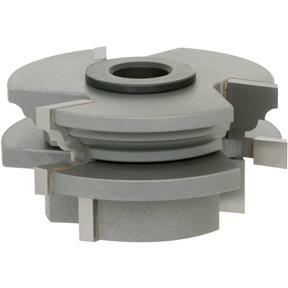 Dimensions:Cutter Diameter: 2-5/8"Cutting Length: 7/8"Cutting Width: 3/8"Radius: 1/8"